National Testing Agency (NTA) has begun the application process for the JEE Main exam. National Testing Agency (NTA) has begun the application process for the JEE Main exam. The registration is going on for JEE Main I which will be conducted in January. 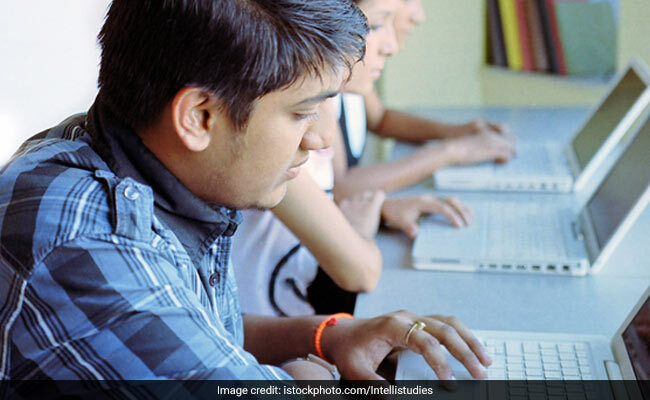 From January 2019 onwards the JEE Main exam will be conducted in online mode, that is the students will have to attempt the entire question paper on a computer. Earlier, students who registered for JEE Main had the option to select pen-paper mode or computer-based mode to select as their preferred mode of exam. However, from 2019 all students who register for the exam will have to appear for the computer-based exam. However, there is one exception. Paper I, which is conducted for B.Tech./ B.E., will be entirely computer-based. Paper II which conducted for B.Arch./B.Planning will partially be in pen-paper mode. Paper II three parts. Part I is Mathematics and Part II is Aptitude Test, both of which will be in computer-based mode. Part III is Drawing Test which shall be conducted in offline mode and students would be required to attempt the questions on a drawing sheet. JEE Main - January 2019 will be conducted from January 6 to January 20 in two sessions each day for paper I. Paper II will be held only in one shift and students would have to complete all three parts in one sitting. JEE Main II exam will be conducted in April. A student does not necessarily need to appear in both the exams, however if someone appears in both the exams, the best score of the two will be used for admission.